Pakistan has ordered 5 Boeing 777s and 75 train engines for its state-owned companies in a bid to catch up with rising passenger and cargo service demands, according to media reports. Boeing, the American aerospace giant, has announced the $1.5 billion deal with Pakistan International Airline (PIA) which includes a firm order of five 777-300ER (extended range) jets as well as the purchase rights for an additional five, according to Fox News. Separately, The News is reporting that Pakistan Railway is purchasing 75 Chinese-made train engines for $105 million. Highways have now become the most important segment of transport sector in the country, according to the Economic Survey of Pakistan. At the time of Pakistan's independence in 1947, transportation by roads accounted for only 8% of all traffic. Today, it accounts for 92% of national passenger traffic and 96% of freight. 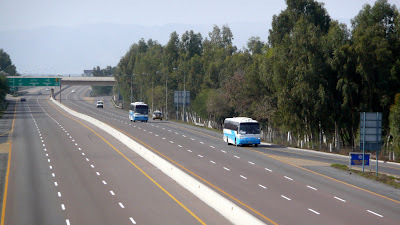 The last decade has seen major competition coming from first-class private bus services now operated on modern motorways in all parts of Pakistan. The best known of these is Daewoo bus service with its comfortable luxury coaches and stewardesses offering meal services. With the construction and expansion of national highways and motorways, the trucking industry has also grown by leaps and bounds in the last few decades. In mid-90s, Pakistan Railway had 10.45% share of passenger traffic and 5.17% of freight traffic, which has declined to 9.95% and 4.72% respectively by the year 2006-07, according to Economic Survey of Pakistan. Pakistan Railway has been weighed down by heavy expenses of payroll and rising corruption and incompetence. As a result, a large number of engines are no longer operational and there have been big cuts in service. After gaining domestic and international traffic market share for several decades after independence, Pakistan International airline has been losing it in recent decades because of serious problems of corruption and mismanagement by the cronies of the ruling politicians. PIA is now losing hundreds of millions of dollars a year while being hit by lean and mean domestic private airlines and international competition from rising Gulf giants like Emirates, Etihad and Qatar Airways. Today, PIA's employee to aircraft ratio of 450 is more than twice as much as some of its competitors. "Politically motivated inductions have been the major cause of the significant increase in human resource burden in this organization," the State Bank of Pakistan said recently. Pakistani taxpayers are heavily subsidizing the national airline at the expense of much more crucial public sectors like education. Last year, a Pakistani government commission on education found that public funding for education has been cut from 2.5% of GDP in 2007 to just 1.5% - less than the annual subsidy given to the various PSUs including PIA, the national airline that continues to sustain huge losses. The latest example of the use of public funds to buy support for the government is Rs 366 million given in "discretionary development funds" as reward to senators for passing the 20th Constitutional Amendment with more than two-third majority, according to Pakistani media reports. The crux of the issue for the bloated public sector units like PIA, Pakistan Steel Mills and Pakistan Railways is the reprehensible system of political patronage which puts the wrong people in charge of them. The sooner PIA, PR and other PSUs become privatized, the easier it will be to revive them for better service and improved profitability. It will turn them into a source of much needed revenue for the public treasury, just as the denationalization of banks did in the last decade. From an after-tax loss of Rs. 9.77 billion in 2001 (when MCB, Habib, UBL and Allied were government owned) the earnings of these privatized banks rose to a profit after-tax of Rs. 73.115 billion in 2007. Higher earnings meant increased tax contribution by these banks to the government from Rs 10.8 billion in 2001 to Rs. 33.8 billion in 2007, according to data provided by former State Bank governor Mr. Shahid Kardar. Even if privatization of the heavily subsidized public sector units does not yield higher tax revenue from them, it will at least free up public funds for more pressing needs like education, health care, energy, water and public infrastructure development. Daewoo Pakistan Express Bus Service is a trusted name among people because it has revolutionised concept of road transport in Pakistan. 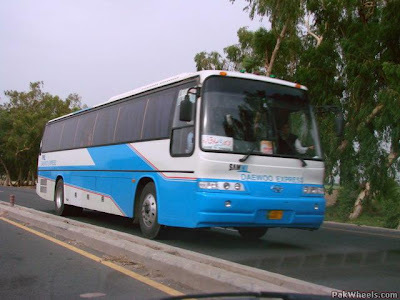 Journey on luxurious buses of Daewoo Pakistan Express, are secure, memorable and comfortable. Renowned for punctuality and safety, we are first choice of families who enjoy journey with us as much as the enjoy picnic. People's trust has not been built overnight. It has taken a decade plus of professional competency, a teamwork and never ending eagerness to seek continuous improvement. Patronage by people and extra work by our team has created a legend. Daewoo Pakistan Express made a humble start in 1998 on Rawalpindi-Lahore Route. Today, it's truly country wide transport system which serves millions of people, living in 40 cities and 45 destinations. We operate 266 buses which carry approximately 22,000 people daily. Our most recent endeavour has been linking Murree with 10 other cities so that families can travel to the most famous hill station in comfort and style. Similarly a new route Lahore to Dera Ismail Khan via Sargodha, Mianwali has been introduced. Our other preferred services include Cargo and Lahore City Bus Service, each providing its unique advantages to the customers. Our Cargo service is preferred choice for fast and secure transportation of documents and goods. Our Lahore City Bus Service is only Foreign A/C Urban Bus Operator in Urban Transport Sector of Pakistan in the cosmopolitan city of Lahore. Daewoo Pakistan Express has many futuristic plans which shall contribute towards Pakistan economic development and people's comfort. Daewoo Pakistan Express is not just a transport company but a concept where we are fully engaged with our partner people. We have never hesitated to fulfil our corporate social responsibility and have stood shoulder to shoulder with Pakistani nation in time of need. We made all possible contributions during earth quack of 2005 and recent floods. Our success is based upon our 400 men/women team which is highly motivated, professional and dedicated. Each member of our work force is important and their well knit team actions have earned us reputation of best transport company in the country. Some of my readers have strongly argued in profanity-laced messages that India's infrastructure is better than Pakistan's. I disagree with them, as do many others like me who have seen India and Pakistan first hand & compared. "Yes. Yes, you read right. The roads. I used to live in Mumbai and now I live in Delhi and, yes, I think good roads are a great, mammoth, gargantuan luxury! Face it, when did you last see a good road in India? Like a really smooth road. Drivable, wide, nicely built and long, yawning, stretching so far that you want zip on till eternity and loosen the gears and let the car fly. A road without squeeze or bump or gaping holes that pop up like blood-dripping kitchen knives in Ramsay Brothers films. When did you last see such roads? Pakistan is full of such roads. Driving on the motorway between Islamabad and Lahore, I thought of the Indian politician who ruled a notorious —, one could almost say viciously — potholed state and spoke of turning the roads so smooth that they would resemble the cheeks of Hema Malini. They remained as dented as the face of Frankenstein's monster. And here, in Pakistan, I was travelling on roads that — well, how can one now avoid this? — were as smooth as Hema Malini's cheeks! Pakistani roads are broad and smooth and almost entirely, magically, pot hole free. How do they do it; this country that is ostensibly so far behind in economic growth compared to India? But they do and one of my most delightful experiences in Pakistan has been travelling on its fabulous roads. No wonder the country is littered with SUVs — Pakistan has the roads for such cars! Even in tiny Bajaur in the North West frontier province, hard hit by the Taliban, and a little more than a frontier post, the roads were smoother than many I know in India. Even Bajaur has a higher road density than India! If there is one thing we should learn from the Pakistanis, it is how to build roads. And oh, another thing, no one throws beer bottles or trash on the highways and motorways." It puts paid to what's on offer in Pakistan's traditional foe and emerging economic giant India, where village culture stubbornly refuses to cede to even the most modern motorways, making them battlegrounds of rickshaws, lorries and cows." And others including Yoginder Sikand, William Dalrymple, Tom Wright have offered similar assessments of infrastructure in Pakistan versus India. Prime Minister Yousuf Gilani inaugurated the first privately-managed Business Express service between Lahore and Karachi on February 3. The train is operated under an agreement between Pakistan Railways and Four Brothers International, which sells the premium-priced tickets aimed at business travellers and provides the onboard services including bedding, catering and entertainment in return for 14% of the revenue. Four Brothers is investing Rs225m in the venture, refurbishing an initial nine air-conditioned coaches and providing dedicated booking offices and passenger lounges. PR expects to earn Rs1·5bn a year from operating the service. The Prime Minster told local media the venture would ‘not only introduce the private business to passenger operations on the rails for the very first time but also provide Pakistan Railways with an insight into the dynamics of the private sector’, and thus be instrumental in reviving the troubled rail system. PR is planning to outsource management of further passenger trains, and the government hopes private companies will import locomotives and wagons to launch their own freight services. At the end of January PR reinstated Karachi – Lahore freight services which had been suspended since August owing to an acute shortage of operational locomotives and funds to purchase fuel. Karachi – Faisalabad parcels services have also been reinstated. Last month PR was hoping to operate 10 freight trains a day, subject to having 15 serviceable locomotives. On February 10 the cabinet gave the go-ahead for a long-discussed order for 75 new locomotives, approving a US$105m agreement with Dongfang Electric Corp which was signed in December 2008 but became mired in procurement policy disputes between the government and PR. The deal is to be funded by China, with PR paying in instalments. Pakistan Railway Advisory & Consultancy Services (PRACS), a subsidiary of Pakistan Railways would revamp 96 locomotives from the funds allocated by the federal government. Credible sources informed ‘The News’ here Wednesday that the federal government has recently announced to provide funds worth Rs6.4 billion for this purpose. The main objective of government funding relates to improving the condition of Pakistan Railways, which has collapsed due to severe financial crunch for the last one year. The government had couple of months ago also released Rs2.24 billion to the Pakistan Railways for clearance of employees’ salaries and purchase of diesel, which went short, halting operation of number of passenger trains. However, the operation of suspended trains has revived from main stations after government injected much needed funding into the department. Now the government is lending loan to Pakistan Railways for rehabilitation of locomotives. In order to revive the condition of Pakistan Railways, some officials last year had also recommended the concerned high authorities for complete suspension of passenger trains for one year and operating only freight trains. PRACS Secretary Zafar Zaman Ranjha while commenting on the report agreed that the releasing process of funds by government is in final stages. As soon as PRACS receives funding, work on rehabilitation of old and faulty locomotives would be initiated. In all PRACS would rehabilitate 96 locomotives. He agreed to a question that at present no freight train is operating in any station of the country. “However, we are laying emphasis to run 80 per cent freight trains after refurbishing 96 locomotives,” he added. However, he told that 85 per cent funds would be spent on refurbishing work. The entire work would be completed before the end of the current year, the secretary assured. To a question, he agreed to the claims of several officials that the condition of Pakistan Railways is improving. Besides receiving funds, related minister and other concerned quarters taking other major steps for reviving Pakistan Railways, which are underway. Private carrier, Bhoja Air, a defaulter in the past, will start domestic flights from Monday after it held a test flight here on Saturday. 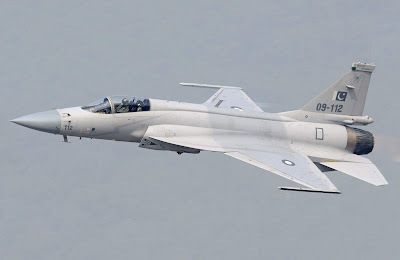 Bhoja airline was a defaulter of more than Rs6.9 million of the Civil Aviation Authority but it was allowed to resume operations by the Ministry of Defence. Due to financial difficulties, the Bhoja Air suspended its operations in 2001 although its Airline Licence, issued by the CAA, remained valid and it maintained a fully functional headquarter office in Karachi and an operations and ramp office at the Karachi airport. However, the Bhoja Air announced in November 2011, that it plans to restart operations in 2012. Bhoja Air’s founder Chairman M. Farouk Omar Bhoja has installed a new management which includes the former managing director of Shaheen Air, M. Arshad Jalil, as the airline’s Managing Director. Initially the airline has acquired two Boeing 737-400 on lease for scheduled flights on domestic sectors of Karachi, Lahore, Islamabad, Multan and Sukkur. Later the carrier with the induction of few more planes mostly on lease will launch operations to Dubai and beyond. Bhoja will become fourth airlines to operate in Pakistan. The others are, Pakistan International Airlines, Shaheen Air and airblue. Another airline given permission to start commercial flights Indus Air has yet to launch its operation. The European Union (EU) has decertified the maintenance certification of the Pakistan International Airlines (PIA) and issued a notice to the Civil Aviation Authority (CAA) to improve its maintenance standards within a couple of months; otherwise, the airline would have to stop operations in the EU countries, sources in the airlines said on Saturday. It is worth mentioning that the standard of the PIA engineering and maintenance was equal to that of any European country after obtaining the certification from the EU-sponsored European Aviation Safety Agency (EASA) in 2004. Within the first year of the EASA’s approval, the national flag carrier started repairing foreign aircraft and earned $5 million, as it became a continuous source of income. A senior aviation expert said the move could be complete or partial, since the last EU ban on the PIA flights was partial; however, certain aircraft were cleared by the EU inspectors after check to fly to the European countries. In 2007, some PIA planes, including A-310 and B-747, were banned for the EU destinations. Sources in PIA said the reason behind the current mess was poor supply mechanism for spare parts, as the protocol set by the aircraft manufacturers was not being followed. When contacted, a PIA spokesman Tahir Khalique rejected the reports of decertification, saying the airline had not received any letter on the subject, as only a verbal warning was issued to the CAA. The EU warning was motivated the PIA’s plan to purchase B-777 from the Boeing Company, while the EU-based Airbus wanted to pressurise the airline through EU to consider its aircraft as well, he added. He said negotiations were also underway to purchase five Airbuses, which would end the pressure game automatically, he concluded. KABUL, Afghanistan -- More than a century ago, fearing that his country might be swallowed up in the Great Game rivalry between the British empire to the east and the Russian army to the north, an Afghan king made a radical decision: He banned railroads. That edict effectively kept out foreign troops for a number of years. But it also left the Afghan economy, once a wealthy crossroads of the ancient Silk Road trading routes, largely cut off from the world at a time when trains were the engines of development. Now, Afghanistan has just opened its first major railroad and is planning a half dozen more. The government is also inviting other countries to build tracks, part of plans for a "New Silk Route" that the U.S. hopes will help stabilize the region by promoting trading links. China, Iran, Pakistan and India all have government or corporate plans for separate railroad projects across Afghanistan. Turkmenistan is completing its own plans for another line. And Uzbekistan has already built the first major rail link, a 47-mile line from the border town of Hairatan to Mazar-i-Sharif in Afghanistan's north. One reason so many countries are helping Afghanistan belatedly join the rail age: They need trains if their companies hope to export the country's vast, untapped mineral wealth, estimated by U.S. surveys at nearly $1 trillion. Both the railway projects and the prospects for future mining wealth will depend largely on whether the country can keep violence from escalating once the international military force withdraws most of its troops by the end of 2014. For investors, it's a question of whether the increased commerce is worth the risk and effort. Soviet occupiers abandoned a few rail projects in the 1980s, and later years of civil war made such construction impossible. Now, the Afghan government, seeking to lift the country out of poverty, is trying to catch up to its neighbors by building links to Central Asia's fairly well-developed rail networks. The plan is to build a series of short, cross-border tracks to Uzbekistan, Turkmenistan, Tajikistan, Pakistan and Iran. The tracks would connect to each other inside the country's north by railways built by Iran from the west and China from the east. "We would be able to import and export to Russia, Turkey, and even European countries," says Noor Gul Mangal, Afghanistan's deputy public works minister. Opening new transport gateways would also reduce Afghanistan's dependence on neighboring Pakistan as its only link to sea ports. Only one line is finished and several of the rest are delayed or face funding problems. But already, the prospect of restoring Afghanistan's status as the crossroads for goods traveling from India, China and Europe has kindled enthusiasm. Instead of silk, spices and tea, the New Silk Route would carry washing machines from India, heavy machinery from Europe and T-shirts from Pakistan over interconnecting railroads that are faster than container ships and cheaper than air freight. "Afghanistan is the key. It's the hub," Starr says. It can all sound like a far-fetched dream for Afghanistan, with Taliban violence spiraling and international troops preparing to withdraw from the decade-long war. If President Hamid Karzai's government cannot prevent the country from plunging further into civil war, the mining companies may cut their losses. In which case more railroad projects will gather dust. DUBAI -- Emirates, one of the world’s fastest growing airlines, has strengthened its commitment to Pakistan by announcing the addition of a fifth daily flight to and from the city of Karachi. Effective August 1, 2012, the airline will be operating to Jinnah International Airport in Karachi five times a day. This move reinforces Emirates’ presence in the Pakistani landscape and provides passengers with more flexibility and options when travelling to the country’s commercial hub. “This is very exciting news for us as Karachi was the inaugural destination of Emirates when the airline began operations in 1985,” said Badr Abbas, Vice President Pakistan & Afghanistan, commenting on the development. “Today we are proud to have announced a fifth daily flight to Karachi in a move to better serve our Pakistani passengers and strengthen the historic relationship between Pakistan and UAE. We hope to continue on this path by further expanding our services in Pakistan and are grateful to all the relevant government and aviation authorities for making this possible,” he added. Karachi is known as the financial capital of Pakistan and the additional flight will not only further leisure and business travel but also boost economic activity by providing increased cargo capacity for popular Pakistani exports to many destinations on Emirates’ global network. The additional frequency will be operated by a Boeing 777-300ER in a two-class configuration. In the past six months, Emirates has experienced robust growth and increased its presence in Northern Pakistan by starting additional flights to Peshawar, Lahore and Islamabad. Starting August, Emirates will be operating 54 weekly flights to and from four cities in Pakistan - Karachi, Lahore, Islamabad and Peshawar - of which two frequencies are subject to Government approval. Despite the huge numbers of passengers it transports, it is worth noting that Indian Railways moves only 10 percent of India’s long-distance or suburban passenger traffic. When it comes to moving freight, the 2.65 million tonnes it transports every day seems dramatic — but is only 30 percent of the freight traffic in India. It wasn’t always like this. In 1980, the first National Transport Policy Committee was set up under the late BD Pande, former cabinet secretary and later governor of West Bengal. It recorded that 74 percent of passenger traffic and 89 percent of freight was dependent on Indian Railways. What happened in 30 years? It is tempting to look upon the early 1980s as the starting point of Indian Railways’ decline. ABA Ghani Khan Chowdhury, the Congress strongman from north Bengal, became railway minister then and was quickly given the sobriquet “Minister of Malda”, a reference to his parliamentary constituency. Khan Chowdhury used the Railways to nurse Malda and attempt to win back Congress influence in West Bengal. The first attempt worked and Malda still worships its “Barkat da” years after his death, remembering the jobs and infrastructure that Indian Railways created. The second mission — reclaiming West Bengal from the Left Front — failed but nevertheless Khan Chowdhury had designed a template that was to be used by later ministers. In the 1990s, as the Indian economy began to open up and internal and external trade grew, it should have been Indian Railways’ moment in the sun. Instead, borrowing from the Malda model, a succession of coalition-era railway ministers — Ram Vilas Paswan, Nitish Kumar, Lalu Prasad Yadav — began to see Indian Railways as nothing more than a patronage machine. The decline reached its logical conclusion — or logical absurdity, depending on how you see it — under another Rail Bhawan dispensation from West Bengal, under Mamata Banerjee and her handpicked railway ministers. Which route should the Railways take? The dilemma was obvious in the political flashpoint this past week. Prime Minister Manmohan Singh praised Dinesh Trivedi’s budget and acknowledged his bid to raise fares. This didn’t help the former railway minister save his job, however, as Banerjee, Trinamool Congress chief and Trivedi’s party leader, felt passenger fares could not be raised without a crippling impact on ordinary people. Her supporters suggested rather than burden passengers, Indian Railways had to look at different and more sustainable sources of revenue. The political class would be loath to reduce the employment potential of Indian Railways without the guarantee that those who don’t get these jobs will be absorbed elsewhere. On the other hand, there is the fear that if nothing is done, Indian Railways will go the Air-India way. Conservative voices argue that if too much is done, it could go the Kingfisher Airlines way. The debate is endless. Nevertheless, without a radical transformation in the manner in which Indian Railways is managed — and without bringing in a rational measure of private players as partners — India’s rail story will keep going downhill. The point is: can the new railway minister, Mukul Roy, see the lantern waving furiously in the distance? The National Accountability Bureau (NAB) has arrested General Manager Operations of Pakistan Railways (PR) Saeed Akhtar, on alleged misuse of authority and other charges in relation to a multi-billion scrap scandal. Sources said that some accused including the PR officials and contractors have already been arrested while some were released on bail after depositing back the plundered money. Minister for Railways Haji Ghu-lam Ahmad Bilour and former secretary Samiul Haq Khilji were also named in the scrap scandal. They are accused of giving per-mission for awarding tenders to certain contractors after receiving bribes from them. The same allegation was also levelled against Akhtar by an-other accused, former Controller of Stores PR Khalid Mohiuddin during the ongoing investigation. It is pertinent to mention that Prime Minister Yusaf Raza Gilani gave one-year extension to Akhtar’s contract, who had re-tired recently. NAB Chairman Admiral (retd) Fasih Bokhari had established a special operations division, headed by Director General Colonel retired Shahzad Bhatti to investigate all the high-profile corruption cases referred to the NAB by the Supreme Court, including cases against Akhtar. CEO Bhoja Air Muhammad Arshad Jalil has stated that 900 airlines operating from 1700 airports worldwide were earning US $ 650 billion in direct revenue & contributed US $ 2.9 trillion to global economy annually while generating 29 million jobs. He was delivering a lecture on Air Transport in the 21st Century to the members of Royal Aeronautical Society Pakistan Division here. Studying the case of Emirates, Muhammad Arshad Jalil informed that it commenced its operation with a startup capital of US $ 10 million in 1985 using two leased aircraft from PIA and now it was the most profitable aircraft in the world operating to 115 destinations. He noted that Dubai - similar to Karachi - was an ideal gateway between Europe and Asia with 4.8 billion people living within eight-hour flight. Speaking about Emirates’ widespread market he observed that 63.7% of British Airways’, 47.29 % of Lufthansa’ and 68.6% of Air France/KLM passengers were from Europe, while Emirates that handled 39.9% from Europe & America & 25.4% from Africa & Middle East was not dependent on a small market. He told that Emirates had been a key factor in contributing 34% of UAE’s GDP. Pondering over Emirates’ unparalleled success Muhammad Arshad Jalil further noted that despite its profitability Emirates’ maintenance cost was 1.5% of overall expenditure versus British Airways’ 7.5%. He said that since Emirates did not have any labor laws it was able to source cheap labor; While other airlines had to cut back on advertising due to significant losses, Emirates made significant investments in this domain; In addition, believing that if airline was not making profit it could contribute towards making indirect profit, Emirates made significant effort enabling Dubai Duty Free generate US $ 1.1 billion (that is 7% of entire world’s duty free). He also cited the example of Aero Asia that gave a boost to tourism etc and as a result at the end of the day group was making a lot of money through indirect business. Jalil maintained that whenever capacity had been added passenger numbers grew. Studying a model of low-cost carrier (LCC) he observed that passengers sought after safety, schedule and reliance. He said that LCC generated ancillary revenue through various means including levying charges on services, baggage, meals & sometimes even for water. Besides dismantling the fare structure they also earn through third party’s sales. Introducing Ryanair as the world’s largest airline in terms of traffic that operates point to point with no frills offered he told that it started its business by carrying only eleven thousand passengers. Now it operates at an average fare of 39 Euros per passenger and carried over 70 million passengers in 2011. Giving an example of its ancillary revenue he told that only through car hire via website Ryanair generated 26.51 million in 2007; Aéroport de Pau (in France) paid 1.4 Euros to Ryanair anticipating that additional traffic would benefit local economy; Ryanair had been using technology to reduce cost, for instance in October 2009 it stopped offering check-in desks. However, Muhammad Arshad Jalil admitted that Ryanair was not in compliance with EU law for handling customer complaint; though Ryanair (that employees 6900 people) had a ratio of 1 employee to 10,000 passengers, its cost-cutting measures could be gauged by the fact that company employees are not allowed to use mobile charger. US company Escher Group has won a contract to provide its point-of-service software for post offices in Pakistan. The Boston-based firm said today it has secured the deal with Islamabad-based information and communications technology firm TelcoNet, a contractor for Pakistan Post. The deal will mean initially trialling Escher’s RiposteEssential retail point-of-sale system in a number of branches, before potentially rolling the system out to the network of 13,000 Pakistan Post branches. Escher said centralising Pakistan Post’s financial services would mean customers being able to access them easily and more conveniently. The project is the first part of an “ambitious” effort by Pakistan Post to improve its entire network and automate a full range of services including mail, retail services and payment processes. Escher said its RiposteEssential system is now in use in 32 countries worldwide. 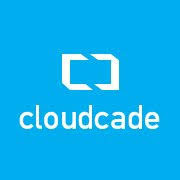 The Riposte system is described by its producer as “middleware”, allowing different applications operating on different computers to communicate with each other and manage data centrally. RiposteEssential serves the mail and courier markets, linking postal facilities with utilities, financial services companies, banks and governments. Liam Church, Escher’s chief executive, said the deal with TelcoNet was a significant development for his company in Asia. “Pakistan Post is one of the largest postal operators in the region and Escher is looking forward to assisting the Post in its modernisation strategy,” he said. The Pakistani government mandated Sunday that all airplanes operated by private airlines must undergo a new inspection to determine whether they are safe to fly, days after a crash near the capital killed 127 people. The Bhoja Air crash Friday was the second in Pakistan in less than two years involving a private Pakistani airline. In both cases, the planes went down in bad weather as they approached the main airport in Islamabad. The crashes have raised concerns about the safety of aviation in a country saddled by economic problems. A passenger jet operated by a third private airline, Shaheen Air, faced potential disaster Sunday when its left tire burst as it touched down, said a spokesman for the Civil Aviation Authority, Pervez George. The pilot applied the emergency break, causing the landing gear to buckle and the left wing to scrape along the ground as the plane came to a halt. None of the more than 170 passengers was injured, Mr. George. The planes operated by private airlines will be inspected one by one, and any aircraft that fail will be grounded, Pakistani Defense Minister Chaudhry Ahmed Mukhtar told state TV. Planes currently in operation will be allowed to fly as they await inspection, he said. The largest airline in the country is state-run Pakistan International Airlines, which has suffered from serious operational and financial problems. Pakistan also has a handful of private airlines that fly both domestic and international routes. The airline involved in Friday's crash, Bhoja Air, only recently received a permit and began flying last month after it lost its license in 2001 because of financial difficulties. It's still unclear what caused the Boeing 737-200 to crash in wheat farms about five kilometers from Benazir Bhutto International Airport on Friday evening. It was arriving from the southern city of Karachi. The violent storm that was lashing Islamabad when the plane went down has led some experts to speculate that "wind shear," sudden changes in wind speed or direction that can lift or smash an aircraft into the ground during landing, may have been a factor. Some in the media and the government have suggested that the age of the aircraft may have been a factor. An industry website indicated the jet was 32 years old, not especially old for an aircraft, according to experts. Also, age by itself is rarely an important factor in crashes, they said. Pakistan has barred the head of the airline, Farooq Bhoja, from leaving the country and has launched a criminal investigation into the crash, alongside the probe being conducted by aviation authorities. Bhoja Air has declined to comment and said it would discuss the case after the investigation was complete. The last major plane crash in the country—and Pakistan's worst—occurred in July 2010, when an Airbus A321 aircraft operated by domestic carrier Airblue crashed into the hills overlooking Islamabad, killing all 152 people aboard. A government investigation blamed the pilot for veering off course in stormy weather. Dozens of mourners walked through the streets of Karachi on Sunday, carrying coffins holding victims of the Friday crash. One distraught young boy was comforted by a relative as he stood over his brother's wooden coffin, which was draped in a green cloth covered in Islamic prayers. Other mourners stopped to pray in the street during the funeral procession. Five public sector enterprises are either operating without a governing board, or are run by unskilled persons. In the latter case, retired or serving bureaucrats, or unqualified but politically well-connected individuals, have been appointed to run these enterprises. According to sources, these entities have collectively caused Rs393 billion in losses to the national exchequer during four years of the Pakistan Peoples Party government. These entities include Pak­istan Railways (PR), Pakistan International Airlines (PIA), Pakistan Steel Mills (PSM), Pakistan Agriculture Storage and Services Corporation (Passco), and the National Highway Authority (NHA). Furthermore, losses incurred by Pepco due to subsidies– estimated at Rs1.2 trillion by the finance ministry – are not included in this assessment. The entity recorded Rs150 billion in losses during the four years under review – the highest among the five. When the PPP took over the government, the NHA recorded annual losses of Rs30 billion. These surged to Rs33.5 billion in 2008, Rs35.3 billion in 2009, Rs44.4 billion in 2010 and Rs36.5 billion in the last fiscal year, according to the official report. The national flag-carrier’s accumulative financial losses in three years and nine months stood at Rs81 billion. In 2007, the entity’s annual losses had been registered at Rs13.4 billion. These surged to Rs36.1 billion in 2008, Rs4.9 billion in 2009, Rs20.8 billion in 2010 and Rs 19.3 billion losses in nine months of last year. From 2009 to 2011, PSM’s accumulated losses stood at Rs49.5 billion. The country’s largest industrial unit was in profit up to 2008, but political appointments have led to the near collapse of the behemoth. In 2009, it suffered Rs26.5 billion in losses; the figure came down to Rs11.5 billion in 2010, and was ‘sustained’ at this level in 2011. PR incurred Rs96 billion in losses during the reviewed period. Before the government took over, its annual losses stood at Rs15.2 billion. This figure ballooned to Rs16.9 billion in 2008, Rs23 billion in 2009, Rs25 billion in 2010 and Rs31.1 billion during the last fiscal year. The government has only recently constituted a board of directors for the entity. Passco recorded Rs34.6 billion in losses during the reviewed period. During the last year of the Musharraf government, Passco suffered Rs2.5 billion losses. The figure swelled to Rs3.4 billion in 2008, Rs3.3 billion in 2009, Rs 13.8 billion in 2010 and Rs14.1 billion in 2011..
On Thursday, Aviation Minister Ajit Singh told the parliament that the airlines are expected to report a combined loss of nearly $2bn for the last financial year. Independent analysts peg last fiscal's losses at $2.5bn. All airlines - there are six main operators - barring budget carrier Indigo are in the red and further losses are expected in 2011-12, he said. India's biggest airlines - the private Jet and the the national carrier Air India - are struggling. Private airline Kingfisher has shut down overseas operations, pruned domestic flights, downsized and is desperately hunting for funds. Things are so bad that the government is mulling a proposal to allow foreign airlines to buy stakes in India's airlines to help revive them. But this is not expected to happen soon. What is wrong with one of the world's fastest growing aviation markets? Aviation and telecoms are held up as leading examples of industries which have bloomed after the unshackling of India's economy. But in less than eight years the boom is beginning to look like a bust. What went wrong? Total losses since 2004 are estimated to be around $8bn, and the airlines are groaning under accumulated debts of up to $18bn, according to independent analysts. Most believe the industry has been hit by steep fuel prices, punishing taxes, tough competition and the general economic slowdown. Airport charges are also on the upswing - Delhi airport has already seen a fat rise and Calcutta, Chennai and Mumbai are expected to follow suit - and flying is going to become more expensive. Consider aviation fuel, which comprises more than half of the operating cost of an airline. In early March, global aviation analyst Centre for Asia Pacific Aviation (Capa) calculated that a kilolitre of aviation fuel cost 67,000 rupees ($1,247) in Mumbai, compared to 44,000 rupees ($819) in Dubai and 43,400 rupees ($808) in Singapore. India imports the bulk of its oil, so with the rupee falling, it is paying more for it. On top of that, oil is also also heavily taxed domestically. The situation is not likely to improve in the near future unless oil prices drop, the rupee strengthens and taxes are cut. "There are serious fiscal challenges linked to the slowing economy and punitive taxes, but there are equally serious structural issues with industry and the infrastructure," Kapil Kaul, chief of Capa India told me. India has more than 400 aircraft - flying on both domestic and international routes - and some 3,500 pilots. More than 60 million Indians flew domestically in 2011, and some 37 million flew internationally. Passenger traffic grew by a healthy 17% last year, though it has slowed down a bit since. On the face of it, the industry should be booming. Instead, it seems to have become a victim of a slowing economy, shoddy fiscal management, punitive taxes, poor management and the hubris of the operators. ....According to Agility Logistics Director Commercials Aamir Haroon, the field of supply chain has undergone a drastic transformation in Pakistan during the last 10 years. “We used to have a storekeeper, godown manager and in charge of transport a decade ago. Today, we have a logistics officer, supply chain manager and chief turning officer,” Haroon told the audience. Stressing the need for outsourcing non-core activities, he urged companies to make their balance sheets leaner by getting rid of unnecessary assets and liabilities. “It’s no more a company versus another company these days. It’s basically one supply chain competing against another supply chain,” Haroon said, adding up to 70% of a typical company’s annual budget was managed by supply chain professionals. Making a presentation on the role of cold chain in the contemporary world and its implications for Pakistan, Raaziq International CEO Muhammad Nadeem Khan said horticulture formed 12% of the country’s gross domestic product, adding 30% of it was wasted annually because of an inefficient supply chain. Similarly, he said only 6% of livestock produced in Pakistan was actually sold after value addition. With the global market for frozen food worth about $175 billion, Khan said Pakistan could benefit immensely by improving its supply chain, especially in horticulture and meat segments. Pakistan’s Air Indus has shown an interest in buying eight Sukhoi Superjet 100 airplanes, the manufacturer said on Wednesday. “The client is interested in purchasing eight new SSJ-100 planes, and get three of them in 2013,” Sukhoi Civil Aircraft’s Senior Vice President Igor Syrtsov said. An SSJ-100 carried out two demonstration flights in the Indonesian capital. United Aircraft Corporation said in February Russia will export 10 SSJ-100 airplanes in 2012. The planes will be delivered to Mexico, Indonesia, and Laos in the second half of the year. So far, only one plane has been exported and that was to Armenia. Another 10 SSJ 100s will be delivered to domestic airlines Aeroflot and Armavia. The Superjet 100 is a medium-haul passenger aircraft developed by Sukhoi in cooperation with U.S. and European aviation corporations, including Boeing, Snecma, Thales, Messier Dowty, Liebherr Aerospace and Honeywell. The aircraft is capable of carrying up to 100 passengers for up to 4,500 kilometers. In early February SSJ 100 received the Type Certificate from the European Aviation Safety Agency (EASA). Sukhoi has received over 200 firm orders for Superjet 100 airliners so far. Consul General William Martin, on behalf of the US Trade and Development Agency, along with Captain Haleem Siddiqui of PMS inked the agreement that will enable the private sector company to help Pakistan's rail system handle the growing volume of cargo between Lahore and Karachi. The initiative is central to improving the capacity of one of Pakistan's most important trade corridors and promoting continued economic growth. To remedy a shortage of properly maintained locomotives, Pakistan Railway has agreed to allow PMS to deploy and operate a fleet of locomotives using PR's existing rolling stock and railway infrastructure. The assistance will also provide PMS with an assessment of future freight volumes, financing requirements for the project, and other technical assistance. Speaking on the occasion, CG Martin said that the "United States remains committed to partnering with the Pakistani transportation sector," because of its importance in supporting economic growth in the country, while also "increasing and strengthening US-Pakistani commercial ties." The US Trade and Development Agency aims to create sustainable infrastructure and economic growth in partner countries. Pakistan needs to improve its competitiveness for rapid industrialisation, which offers it a range of potential benefits, including more jobs creation, tax revenues and economic growth, said Dan Biller, World Bank’s lead economist on South Asia Region for Sustainable Development. Addressing businessmen in Lahore, he said that the GDP growth of Pakistan in 2011 was only 24 percent, while China grew at 9.2 percent, India 7.8 percent, Sri Lanka at eight percent, Indonesia 6.4 percent and Malaysia 5.2 percent. Among all these countries, Pakistan has the largest agricultural share of GDP and smallest industrial share, he said. Biller said that lower industrialisation in Pakistan against other regional countries is due to its lower competitiveness, adding that Pakistan ranks poorly on the Global Competitive Index of the World Economic Forum. Pakistan’s institutions are weak, scoring 3.4 points out of 10, he said, adding that Malaysia score 5.2 points, China 4.3 points, India 3.8 points, Indonesia 3.8 points and Sri Lanka scored 4.2 points on quality of institutions. Biller said that Pakistan’s score in infrastructure was dismal 2.8 points, while Malaysia scored 5.5, China 4.3, India 3.6, Indonesia 3.8 and Sri Lanka scored 4.1 points. Similarly, he said, Pakistan’s score was the lowest among these countries in macroeconomic stability, health and primary education, higher education and training, goods market efficiency and labour market efficiency. Only in the market size, Pakistan had a better score than Sri Lanka, he added. He also said that Pakistan has the most expensive and least-efficient port systems in the region, adding that the handling charges at the Karachi Port Trust are $110 per ton. India charges $80 per ton, Sri Lanka $150 per ton and Hong Kong charged $140 per ton. Ship charges of 2,800 tons are $30,000 at KPT, $5,500 in Sri Lanka, $6,000 in Hong Kong and $25,000 in the Indian port. He said Pakistan handles 55 containers per hour, Sri Lanka 70 per hour, Hong Kong 100 per hour and India 65 per hour. The Customs authorities in Pakistan examine 10 percent containers physically; Sri Lanka and Hong Kong less than five percent, while physical examination of containers in India is also high, but less than 100 percent, he said, adding that Pakistani ports lack water depth, which is 10.5 feet at KPT, 13 feet in Sri Lanka, 14 feet in Hong Kong and 12 feet in Indian ports. The World Bank economist said that Pakistan provides relatively low access to services that impeded foreign investment. Pakistan has two fixed telephone lines per 100 people against 22 in China, 2.9 in India, 17.2 in Sri Lanka, 15.8 in Indonesia and 16.1 in Malaysia. Around 99.4 percent of the population in China has access to electricity; it is 66.3 percent in India, 76.6 percent in Sri Lanka, 62.4 percent in Pakistan, 64.5 percent in Indonesia and 99.4 percent in Malaysia, he added. The roads and power generation are number one infrastructure concern for the businesses worldwide, Biller said, and advised Pakistan to reduce the transport cost that is critical to competitiveness. In addition, the state should ensure safe mobility and enhance regional connectivity. Pakistan’s foreign market access potential is at least 4.5 times higher than the United States, he said, adding that its current market access is only 4-9 percent of the United States. Pakistan’s market share in total global exports is less than half percent and remained stagnant since 2000. India, on the other hand, increased its global export share from 0.6 percent in 2000 to 1.5 percent in 2010, he added. PIA management is going to purchase nine new planes to resume its certain routes like Houston, Chicago, Los Angeles in the US to put PIA on the path of progress while unlike past the procurement process will be monitored by Transparency International (TI) a Germany based watchdog , said well informed sources in the national flag carrier on Friday. Sources disclosed that newly appointed Chairman PIA, Rao Qamar Suleman has himself decided to take TI on board to maintain maximum transparency in the procurement process. New planes scheduled to be purchased included five B-737-800, two B-777-LR and two Jumbo planes. Sources claimed that Jumbo planes would be used for Haj purpose while B-777 for long haul flights like Huston, Chicago and Los Angeles while B-737-800 for other routes. A well informed officer of PIA seeking anonymity said that MD PIA was also keen in revamping of routes like Nairobi, Johannesburg, Glasgow and Bangkok etc. He said that Rao Qamar was in negotiations with American Transport Security Administration (TSA) to get permission for direct flight from Pakistan to US destinations. He said Rao has also successfully exempted from another security check imposed by the United States on PIA flights operating between the two countries at Manchester. TSA had given deadline to PIA for detailed checking to be started at Manchester which could force the passengers to opt for an airline other than PIA, as the security check could increase the travel time from 16 to 25 hours, sources in PIA said. As per details, the US Transportation Security Administration (TSA) had warned PIA that after April 22nd, 2012 all passengers and luggage on board PIA aircrafts would be subjected to another security check at the Manchester airport prior to arriving in US destinations. When contacted TI Pakistan head Adil Gillani said that though PIA management has tried to get TI on board regarding procurement of two Jumbo planes which were supposed to be used for Haj purpose but TIP has objected on procurement process and said why management was not going to purchase planes from Airbus rather than Boeing Company. He said that as per Public Procurement Regulatory Authority (PPRA) every procurement should be made through tender. Whereas sources in PIA were of the view that MD PIA was trying to purchase two Jumbo from Saudi Airlines against throw away price and secondly the airline has all sort of infrastructure of jumbo planes including, trained crew members, wide body hanger, spare parts and engines etc. “It is matter of national interest and TIP should support such steps of PIA MD to pull the airlines out of losses” a senior PIA officer said. A head of Association of PIA and also office-bearer of Joint Action Committee of Pakistan International Airlines (JACPIA) said on condition of not to be named that Rao was moving in the right direction. He said MD takes officer-bearers of different associations in PIA into confidence while taking any important decision. He also appreciated other steps taken by MD in the near past. Pakistan steel production to get a boost by two new players...Al Twariqi and Santex. Al-Tuwairqi Holding Company is establishing Tuwairqi Steel Mills Limited at Port Qasim, Karachi, having capacity of 1.28 million tonnes based on the latest technology and the total cost of the project is $260 million out of which US $ 225 million has so far been invested. The mill is going into production soon. Tuwairqi also said that AL-Tuwairqi and POSCO of South Korea would sign a joint venture agreement in a ceremony to be held in Karachi today, September 2011. Tuwairqi said that he wanted to dispel the impression by setting the example that Pakistan was an ideal country for investment. He said that his venture would send a strong message to mega companies of the world that the country offered them competitive edge of doing business. “I am investing in my country to create jobs for the young people who otherwise may be misled by the enemy of my country,” he said. A Czech Group prepares to launch Euro 600 million steel venture in Pakistan. An announcement here on Sunday said that a delegation of Santex Pakistan Limited (SPL) apprised Murad Ali Shah, Sindh Finance Minister, and Muhammad Zubair Motiwala, Chairman Sindh Board of Investment (SBI), about the establishment of steel billets making plant of 1.2 million tonnes capacity per annum and 300 MW coal-fired power plant during a meeting at the Sindh Board of Investment. It said that the project would be launched at Bin Qasim close to Pakistan Steel Mills. Santex Pakistan Limited is a subsidiary of Santex Group based in Czech Republic. The meeting was chaired by Sindh Finance Minister along with Chairman SBI and was attended by Secretary Finance, Secretary Coal and Energy Department, Secretary Energy, DG SBI and other government officials. “Our passenger base is growing continuously in Pakistan and we felt the need to increase flights for customer convenience,” he added. The new flight from Karachi will start from November 30, from Islamabad it will begin from December 1 and from Lahore the flight will start from February 20, 2013. Responding to a question about fares, Manager Sales and Marketing Pakistan Asad Farooqui said despite financial constraints and rising operating cost, the airline kept its fares competitive in Pakistan over the years to keep up with competition. After the addition of one more flight, the total number of weekly flights from Karachi will be five, from Islamabad the number will rise to four and from Lahore it will be six in a week. With six flights a week, Lahore tops among three major cities of Pakistan. Giving the reason for this, Farooqui said most of the Pakistanis from upcountry areas preferred to travel from Lahore to Bangkok and beyond. Pakistani passengers were mostly business-related people, tourists and students, he said, adding most Pakistani businessmen used Thai Airways to travel to China, while tourists usually visited Thailand and neighbouring countries. In addition to these, a number of Pakistani students travelled to Australia through Thai Airways. The air carrier started operations from Karachi 37 years ago, added Lahore to its network 15 years ago and Islamabad eight years ago. UAE budget carrier Air Arabia on Wednesday announced the expansion of services to Karachi in Pakistan. The four weekly flights from Sharjah to Karachi have been increased to daily flights, the airline said in a statement. "We are extremely pleased to announce the expansion of services to Karachi in Pakistan," said Adel Ali, Group CEO, Air Arabia. "Since launching operations to Pakistan, it has always been a market of focus for us, and the launch of additional services is a result of increasing customer demand from the market. "The ever growing appeal for Air Arabia flights, underpinned by the value for money services, signals that Air Arabia continues to be the airline of choice for millions of passengers who travels between Pakistan and the UAE," he added. Air Arabia started operations to Pakistan in 2007 with a launch of direct service to Karachi. Today, the carrier offers services Karachi and Peshawar. Earlier this month, Air Arabia saw its net profit more than double to AED226m ($61.5m) in the third quarter of 2012 compared to the year ago quarter. The airline, which operates out of Sharjah International Airport, posted revenues of AED836m for the three-month period ending September 30, up 19 percent from the corresponding quarter in 2011. Passenger traffic rose 14 percent to 1.37m, while average seat load factor stood at 82 percent. The carrier, also known as PIA, has asked for 25 billion rupees ($257 million) from the government, Managing Director Muhammad Junaid Yunus said in a Jan. 1 interview at his office in Karachi, Pakistan. The management is in talks with the finance ministry to raise the capital before March, he said. PIA plans to lease 12 fuel-efficient planes this year, Yunus said, as the company turns for funds to the government, which itself is trying to repair state finances after recording the highest budget deficit in two decades. South Asian carriers Air India Ltd. and SriLankan Airlines Ltd. have also won state funding amid competition from Emirates and Middle East carriers. Pakistan’s national carrier got government loans of 25 billion rupees in 2007 and about 8 billion rupees in the year ended in June 2009, Yunus said. PIA fell 14 percent to 3.82 rupees at close of trading in Karachi yesterday. The benchmark KSE 100 index fell 1.8 percent. The stock more than doubled in 2012, ending eight straight years of annual declines. Fuel costs and rising competition have also hurt other carriers in the region. The Indian government said it may provide as much as 300 billion rupees ($5.5 billion) to unprofitable Air India through 2020. Kingfisher Airlines Ltd. (KAIR), India’s second-biggest carrier by market share in 2011, has halted operations since October after five years of losses. PIA plans to lease eight A320s and four turboprops, Yunus said. The Airbus planes would be used for services to cities including Dubai, Abu Dhabi, Kuwait and Mumbai. The company will raise bank loans to fund the fleet upgrade after government approval, he said. The carrier has a debt of 150 billion rupees, Yunus said. PIA posted a loss of 26 billion rupees in 2011, according to data compiled by Bloomberg. It previously reported an annual profit in 2004. The cash-strapped Pakistan Railways (PR) appears to be benefiting from its joint ventures with private companies: officials at the state-owned company admitted that the partnerships accounted for 26% of total passenger revenues for the railways, despite accounting for less than 1% of passenger traffic, during the first six months of financial year 2013. Revenues for the Railways were up by 19.9% to Rs7.7 billion during the period between July 1 and December 20, 2012, compared to the same period in the previous year. Nearly 89% of that increase came from rising revenues in the passenger segment of the Railways, and nearly all of that increase came from the two public-private partnerships, where companies have leased out routes from Pakistan Railways. Passenger services account for nearly three-quarters of all Railways revenue. In February 2012, Pakistan Railways signed an agreement to allow the Four Brothers Group, a diversified conglomerate, to run the Business Express, a refurbished train to that travels between Karachi and Lahore. The Railways gets Rs3.1 million per day for the service as a flat fee for the use of its stations and tracks. In March, a similar agreement privatised the newly revitalised Shalimar Express, operated by Air Rail Services, which provides the Railways with Rs1.5 million in lease revenues per day. The Privatisation Commission lists Pakistan Railways as a state-owned entity that is up for sale. Yet the left-leaning government led by the Pakistan Peoples Party seems to loathe privatising an entity that – with over 82,000 employees – is one of the largest employers in the country. An outright privatisation would almost certainly mean massive job losses, since the Railways have massive redundancies in their workforce. And so the government appears to be pursuing what can only be described as a backdoor privatisation, where certain routes are leased out to private companies to run in exchange for fixed revenues. In addition to the two that started last year, a third train – the Night Coach – has also started service from Karachi to Lahore. It is also operated by Air Rail Services and its lease payments are set at Rs1.7 million per day. Whether or not this business model is sustainable is an open question. The management of the Business Express claims that their operational breakeven occurs at 55% occupancy levels, which they are only marginally above, despite operating on the popular Lahore-Karachi route. The Shalimar Express is faring a little better, with a 71% occupancy rate on the same route, with a slightly smaller train. LAHORE: Thai Airways International has increased its flight frequencies on various destination of Pakistan including Karachi, Islamabad and Lahore. Accordingly, flights from Lahore have been increased to 6 days a week. There will be five flighs from Karachi and four from Lahore.Thai Airways has been operating in Pakistan for about 37 year’s nonstop, so we have long association with our Pakistani customers. The airlines is one of the pioneers of facilitating 100 certified Halal Food on board to flights BKK TO Pakistan V.V. Passengers don’t have to request for Halal food or Muslim food en-routing to flight from /to Bangkok–Pakistan. (Beijing) – Shanghai-listed railway equipment manufacturer CSR Corp. Ltd. won bids for contracts in Pakistan and Turkmenistan on February 4. CSR's subsidiary in Ziyang, Sichuan Province, will make 50 locomotives for Pakistan. CSR expects to deliver the first 10 by the end of the year and the rest by the end of May 2014. Turkmenistan ordered 154 passenger cars and they will be delivered this year. CSR's wholly owned subsidiary in Nanjing will make the cars. CSR did not say how much the contracts were worth. However, a CSR source said the usual price for 50 locomotives was about 600 million yuan, and that for 154 cars was 400 million yuan. Last month, CSR's subsidiary in Qingdao, Shandong Province, won a 3.43 billion yuan contract to make electric train units for Argentina. It was the largest South American contract by value for a Chinese railway equipment manufacturer. CSR is in talks with several international clients for other contracts, the source at the company said. This year its overseas sales are expected to surpass those of 2012. CSR's revenue in the first half of last year was 42.4 billion yuan, up 5.8 percent compared to the same period in 2011, its financial report shows. Its revenue from overseas over that period was 4.8 billion yuan, rising 95.58 percent. The company's overseas revenue over the first six months of 2012 accounted for 11.33 percent of its total revenue, the first time the figure reached double-digits. Etihad Airways, the national airline of the United Arab Emirates, has increased its flights to the Northern city of Lahore from seven to 11 a week offering passengers more convenient travel options. With the addition of the new services, Etihad Airways will now offer 27 weekly flights from four destinations in Pakistan which, along with Lahore, include Karachi, Islamabad and Peshawar. The additional services will be operated by A320 aircraft fitted with 16 Pearl Business Class seats and will increase capacity by 21 per cent on the route. These services also improve the number of connections over the airline’s Abu Dhabi hub to more than 500 connections a week (representing an increase of 20 per cent) to a number of key destinations in the GCC and Europe. “The addition of the new flights will further strengthen commercial and cultural ties between Pakistan and the UAE and will lead to continued strong growth in traffic flows between Lahore, Abu Dhabi and beyond to many key destinations across our global network,” said Kevin Knight, Etihad Airways’ Chief Strategy and Planning Officer. Since the start of flights to Lahore in 2006, Etihad Airways has carried more than one million passengers on this route. has burgeoned up since 2007 to contest the case of ‘education emergency’ in Pakistan. A pop-singer, Roy is both a motivation and a lesson for any young adult living in this country. Unlike many, he isn’t chasing projection in the neighbouring media outlets, allured by ‘piles of money’ or the lust for fame. If he continues with his efforts, there are good enough chances for him to introduce a new ‘genre’ in Pakistani music industry- something like ‘social responsibility’. Similar to other institutional transitions budding in the Pakistani society, ‘music’ also requires a reorientation. The mass media (including ‘music’ as a means of communication) is also ploughing for a ‘fresh crop’ that wants to satisfy the need of ‘social uplift’. Making the message of ‘positive change’ vocal, isn’t an easy task. However, ‘music’ seems to be the compatible format considering the level of ignorance and illiteracy in the Pakistani society. Any nation heading towards intellectual demise should be purported by arts, literature and music to engender the thirst for ‘knowledge’. The promotional song (Chal Parha) of the program defines the digression of the society, in general, for not giving due attention to ’education’. In a light yet piercing manner, the lyrics serve as a stringer for the listeners. It is a rhythmic reminder to rescue the country from the darkness of illiteracy through the light of ’education’. Moreover, an allusion towards another dilemma of the society has also been made, that is, the non-acceptance or indifference shown to talented people. Roy selects a young girl hailing from Faisalabad as a co-vocalist for the song in order to encourage her exceptional singing abilities. She complains of the lack of projection given to talented individuals in Pakistan, the reason she hums melodiously: Pair ho par saya na ho, din ho par ujala na ho, aisaa mumkin nahi… (‘how can hope and darkness coexist?’). Shehzad aptly responds to this: Yai anhonee jo baat hai, mairay dais k saath hai (this strange thing is seen in ‘my’ country). Chal Parha is another call to declare ‘education emergency’ in Pakistan – not just by adding Article 25-A in the Constitution, but to ensure its fair and proper implementation. It aims at revolutionizing the education system of the country for saving the lives of innumerable talented gems and to alter the fate of Pakistan. Undeterred by devastating setbacks faced by private carriers over the past few years, three more business groups have applied for airline licences to start operations in the country, industry officials have told The Express Tribune. Rayyan Air, Vision Air and Fly Pakistan Air have decided to enter the market at a time when a shortage of operational aircraft at the state-run Pakistan International Airlines (PIA) has created room for more carriers. Vision Air International and Fly Pakistan Air have filed requests for regular public transport licences with the Civil Aviation Authority (CAA), while a licence has already been issued to Rayyan Air, officials said. “All three airlines are in different stages of commencing operations. All of them seem committed, but only time will tell how many will actually survive,” commented a senior CAA official. These airlines follow in the footsteps of privately-run Bhoja Air and Indus Air, both of which were issued aviation licences last year. Within months of its launch, Bhoja’s maiden flight to Islamabad tragically crashed, killing all 127 persons onboard the aircraft. Since then, its aircraft have been grounded and seized by the CAA as the airline struggles to settle insurance claims. ----When Pakistan adopted an ‘open skies’ policy in the 1990s, more than 20 licences were issued to prospective airliners: almost none of them survived, the sole exception being Shaheen Air. Meanwhile, high fuel prices and stiff competition has already eroded the profitability of airlines around the world. However, Rayyan Air says this does not discourage serious investors. “It is wrong to say those airlines failed because of market conditions. All of them tried to make quick money, losing sight of long-term goals,” said Bhatti. The lack of serious competition has allowed existing domestic carriers to arbitrarily increase fares, he claimed. “There is room for at least two or three more airlines right now,” he added. According to our sources, Fly Pakistan Air has many backers; including a son of ex-DG CAA Nadeem Khan Yousufzai, and industry veteran Haider Jalal. Jalal is a former managing director of Aero Asia, yet another airline that went belly-up a couple of years ago. A company official refused to provide any further insights, saying they are still in talks with government officials. Around 15 million Pakistani passengers use airlines to travel every year, with 8.3 million of them flying to international destinations and the remaining flying to local cities. Nawaz Sharif, Pakistan’s new prime minister, will appoint private sector managers to run state companies in efforts to revive an economy starved of investment, say leaders of his party. Mr Sharif, who has been prime minister twice before, launched a similar policy in 1997 when he appointed commercial bankers to run three large public sector banks. All three became profitable and two, Habib Bank and United Bank, were privatised. The plan faces a backlash from trade unions. Mr Sharif’s aides compared the process to the privatisations in the UK by Margaret Thatcher after she became prime minister in 1979. Officials said Ishaq Dar, a confidant of Mr Sharif, would take up his former post of finance minister in the new government. Final results have yet to be declared but business leaders have welcomed a vote that will probably allow Mr Sharif, a wealthy Punjabi steel magnate, to have an absolute majority in parliament without the need for coalition partners. Investors in Pakistan said they were tired of grappling with power cuts of up to 20 hours a day, widespread corruption in public life and an inefficient public sector. Mr Sharif has identified rescuing the economy as his number one priority. A central bank official said public sector companies in power, rail transport and aviation run up huge losses each year amounting to more than 2.5 per cent of gross domestic product. “These are clearly white elephants,” he said. Mian Muhammad Mansha, the Lahore-based owner of a Pakistani conglomerate who is reputed to be the country’s richest man, approvingly quoted a reference to Thatcher as a “modern Joan of Arc” and said Pakistan needed structural reforms similar to hers. The 1997 bank plan saw Mr Sharif’s government dismiss some 20,000 employees who were all given large redundancy payments. The current reform plan may meet resistance not only from unions but from politicians who are used to arranging contracts for their businesses from public sector companies. The plan is likely to win support from international donors, including the International Monetary Fund, which is expecting to begin negotiations shortly on a new $9bn loan to stave off a balance of payments crisis. Pakistan’s foreign reserves are equivalent to the value of two months of imports. Under a so-called extended fund facility of up to four years, Pakistan would be expected to cut its budget deficit by increasing tax revenues, directing subsidies more accurately towards the poor and introducing policies to encourage foreign direct investment. Air Indus Pvt., the first Pakistani airline to start operations in almost a decade, plans to begin services to the Middle East next year, increasing competition for the loss-making Pakistan International Airlines Corp. The carrier, which started operations July 28 with a flight to Pakistan’s capital Islamabad from its Karachi base, will seek to fly to countries including the United Arab Emirates, Malaysia and Thailand after the mandatory one year of domestic flights, Salman Ghazali, senior marketing manager at Air Indus, said by phone yesterday. The airline will initially offer two daily services each to Lahore and Islamabad and one to Quetta and plans to reach seven destinations next month. The new airline joins Shaheen Air International Ltd. and Airblue Ltd. in competing for passengers in a market once dominated by the flag carrier Pakistan International Airlines, known as PIA. PIA, which has posted eight consecutive annual losses, has seen departures drop by about 10,000 in the last two years amid delays in upgrading an aging fleet, according to its latest annual report. Prime Minister Nawaz Sharif, who returned to power in May, aims to boost economic growth to 4.4 percent and keep inflation in single digits this fiscal year. The government reached agreement with the International Monetary Fund this month on a $5.3 billion loan to boost the nation’s depleted currency reserves and help stabilize its struggling economy. Air Indus operates a fleet of two Boeing Co. 737-300 and one 737-301 aircraft, according to its website. The aircraft offers 148 economy class seats on each flight. The government directed the Privatisation Commission on Thursday to immediately start the process for sale of 31 public sector entities (PSEs) through initial and secondary public offering and transfer of 26 per cent shares, along with management control, to the private sector. The decision was taken at a meeting of the Cabinet Committee on Privatisation, presided over by Finance Minister Ishaq Dar, to comply with a structural benchmark agreed to under the IMF programme. Minister of Water and Power Khawja Asif, Minister for Petroleum and Natural Resources Shahid Khaqan Abbasi, Minister for Planning and Development Ahsan Iqbal, Minister of State for Privatisation Khurram Dastagir, federal secretaries, the governor of the State Bank of Pakistan and chairmen of the Securities and Exchange Commission of Pakistan and the Board of Investment attended the meeting. An official said the Council of Common Interests had approved these transactions in 2006, 2009 and 2011 and the CCOP just reiterated the government’s approval to go ahead with the ambitious privatisation programme. The meeting considered a list of public sector companies submitted by the Privatisation Commission. “After thorough deliberations, the committee agreed to initiate the process of privatisation and directed the commission to ensure that the interests of employees were to be protected at all cost,” said a statement issued by the ministry of finance. “Most of the PSEs will be offered to the private sector through strategic divestment, including up to 26pc stakes along with management control, while shares of other companies will be offloaded through public offering,” an official told Dawn. He said the committee did not take a decision on which companies be sold through strategic disinvestment because this was something the Privatisation Commission would propose after in-house deliberations and consultations with financial advisers. The companies cleared for divestment include the Oil and Gas Development Company Limited, Pakistan Petroleum Limited, Mari Gas, Pak-Arab Refinery, Pakistan State Oil, Sui Southern Gas Company Limited, Sui Northern Gas Pipelines Limited, Pakistan International Airlines, PIA-Roosevelt Hotel, New York, Pakistan Railways, Gujranwala Electric Power Company, Lahore Electric Supply Company, Islamabad Electric Supply Company, Faisalabad Electric Supply Company, Northern Electric Generation Company, Pakistan Steel Mills, National Power Construction Company and Pakistan National Shipping Corporation. The financial sector entities selected for sale in the first phase include National Bank of Pakistan, First Women Bank, Small and Medium Enterprises Bank, National Investment Trust Limited, National Insurance Company Limited, Pakistan Reinsurance Company Limited, State Life Insurance Corporation and House Building Finance Corporation. The Civil Aviation Authority, Karachi Port Trust, Port Qasim Authority and National Highway Authority are also on the list. The government has made a commitment with the IMF to announce a strategy for the sale of 30 firms by the end of September as a benchmark for disbursement of second tranche of the IMF loan. Under the commitment, the government is to announce privatisation plans for remainder of total 65 entities by the end of 2013. Pak Supreme court should stay out of economic decisions like fixing prices for electricity. Targeted subsidies should be given to low income households to help with energy costs. General subsidies for electricity and petrol take 34% of government's revenue ,bust budget and raise deficits and drive inflation (by printing more money to pay) hurting the low-income people the most. There are some who are concerned that Nawaz Sharif will gift state-owned companies like PIA and Pak Steel to his buddies like Mian Mansha. Regardless who they are sold to at whatever price, Pakistani taxpayers will be better off. These state-owned companies are used by politicians for political patronage by hiring large numbers of incompetent and corrupt people. These enterprises are sucking up a lot of tax money year after year. From India to Bangladesh to Afghanistan, much of South Asia this year will be focused on elections and uncertain, sometimes violent transfers of power. An exception is Pakistan, where Prime Minister Nawaz Sharif took office last summer in the country's first transition from one elected government to another. This year Mr. Sharif has the opportunity to deliver on a longstanding promise to privatize Pakistan's state-dominated and inefficient economy. Pakistan's problems are legion, from terrorism and lawless territories to power shortages and polio. Privatizing state-owned dinosaurs isn't the sole solution, but the sooner Islamabad can stop hemorrhaging 500 billion rupees (nearly $5 billion) annually on budgets, subsidies and bailouts for failing enterprises, the better. Spurred by a $6.6 billion loan from the International Monetary Fund, Mr. Sharif's government committed in September to begin privatizing more than 30 public energy, transport and infrastructure corporations over three years. These include Pakistan State Oil, Pakistan International Airlines and Pakistan Steel Mills. To lead the process, Mr. Sharif appointed a 15-member privatization commission last month headed by Mohammad Zubair, formerly IBM's IBM +0.26% chief financial officer for the Middle East and Africa. Mr. Zubair should have the expertise and political independence to push his mandate aggressively, starting with the partial privatization of Pakistan International Airlines by December. Reform prospects further improved last month when Supreme Court Chief Justice Iftikhar Chaudhry reached retirement age and left the bench, ending a career distinguished by aggressive interventions in politics. In 2006 he blocked the privatization of Pakistan Steel Mills, arguing that the government wanted to sell the enterprise for less than its true value. That helped lead to a showdown with then President Pervez Musharraf, who tried to banish the chief justice from power but ended up provoking a popular backlash that cost him the presidency in 2008. Reinstated in 2009, Mr. Chaudhry became more aggressive, reliably quashing or deterring government attempts to cut subsidies or reform state-owned enterprises. Even assuming a less powerful and more business-friendly high court, Mr. Sharif's reforms will still face resistance from organized labor and Pakistan's two major opposition parties. "We are against privatization 100 percent. This is not privatization, this is personalization," says Pakistan People's Party chief Bilawal Bhutto Zardari, who accuses Mr. Sharif of plotting to enrich his fellow industrialists. Mr. Sharif also has to reassure investors that if they bid on properties their ownership rights will be protected. One cause of continuing concern is the unresolved spat between the Pakistani government and Etisalat, the United Arab Emirates' largest telecom firm, over payments from a 2005 privatization. Resolving that dispute could help make future privatization tenders more appealing. Little noticed amid headlines about terrorist horrors and slowed economic growth, Pakistan's benchmark stock index rose 49% in 2013. More economic good news will likely follow this year if Mr. Sharif can deliver on his privatization promise. ISLAMABAD (Reuters) - Mohammad Zubair was on a cruise dinner with Pakistani Prime Minister Nawaz Sharif in Thailand when he was offered the hardest job of his life: privatizing a huge chunk of the economy while fighting resistance from the opposition and trade unions. When the prime minister left the table, a colleague of former IBM executive Zubair rushed to his side. "Are you mad? Three privatization ministers have gone to jail and most have corruption cases hanging over their heads," he said. "Don't take this job." But Pakistan's new privatization tsar is determined to find buyers for 68 public companies, most of them loss-making, including two gas companies, an oil company, about 10 banks, the national airline and power distribution companies - all within the next two years. The government sees the sell-offs as a life saver for Pakistan's $225 billion economy crippled by power shortages, corruption and militant violence. Successful privatization is Sharif's top political and economic goal. "We lose 500 billion rupees ($5 billion) annually because of failing enterprises," Zubair told Reuters. "Every day a file lands on a bureaucrat's desk and he has to take a decision he isn't qualified to. This can't go on, no matter what." Pakistan can raise up to $5 billion in privatization revenue in the next two years to ease pressure on strained public finance, Zubair said. Last September, the International Monetary Fund saved Pakistan from a possible default by agreeing to lend it $6.7 billion over three years. In return, Pakistan must make good on a longstanding promise to privatize loss-making state companies. Asad Umar, an opposition lawmaker and former chief executive of one of Pakistan's largest conglomerates, said privatization was being pursued on an unrealistic time frame and the criteria for identifying entities was inconsistent. For Umar, it makes no sense that on the list with a bleeding airline are Oil and Gas Development Co. Ltd and Pakistan Petroleum Ltd , which made profits of 91 billion and 42 billion rupees respectively in 2013, and have zero debt. Not all sell-offs are expected to go smoothly. A nine-year dispute between the government and Etisalat, the United Arab Emirates' largest telecoms firm, over payments from the privatization of Pakistan Telecommunication Company Ltd, is seen as a discouragement for investors. But Zubair says no plan is without risk. "There is no magic wand to ensure that all these ventures will be successful," he said. "But the bottom line is that I'm not going to hold off privatization for anyone." In addition to billions of dollars in revenue from state asset sales, the government of Prime Minister Nawaz Sharif, which came to power in June, is also looking for as much as $5 billion from auctioning off third- and fourth-generation mobile-phone licenses, Finance Minister Ishaq Dar told The Wall Street Journal. Another plan in the works is to split into two companies the loss-making flag carrier, Pakistan International Airlines Corp. PIAA.KA +0.37% , ahead of selling a stake, he said. The economy has since shown signs of reviving, even though growth barely keeps up with the birthrate. The IMF this month acknowledged the tentative turnaround, especially in the large-scale manufacturing and services sectors, and raised its forecast for gross domestic product growth this fiscal year to 3.1% from the previous estimate of 2.8%. The government is much more optimistic, expecting growth of some 4.4%. "I am quite happy and satisfied that things are moving the way they should be. We are right on track," Mr. Dar said. "We are pursuing and taking the most difficult decisions, a few of which are politically unpopular. But, to fix the economy, those stabilizing measures as well as structural reforms were necessary." In part because of interference by the country's activist judiciary, which questioned a number of government appointments, reforms have been relatively slow so far, especially on the privatization front, many critics say. Soon after taking office, Mr. Sharif's government pledged to sell stakes in 31 state-owned companies. Many of these, however, are still in the process of selecting new management teams. "It's all entangled in this sense of going cautiously, which in turn has adverse impact as far as economic expectations are concerned," said Ishrat Hussain, the director of the Institute of Business Administration in Karachi and a former governor of Pakistan's central bank. "The investors don't see anything happening of a dynamic, vibrant nature. If they see a few privatization transactions successfully completed, they will bring in their money and invest. They are waiting for privatization to take place before they go for greenfield projects." "The government is very keen on privatization, but I'm of the opinion that it will lose a lot of political capital on it," said Hussain Dawood, a tycoon with interests in the fertilizers, chemicals and power industries. "There is going to be a political backlash because all sorts of people have vested interests." This backlash, however, isn't necessarily insurmountable. "When there are privatizations, you can't satisfy all the participants," said Mr. Siddiqui of JS Bank. "But if the will is there to privatize, and the intention is to do it in a transparent manner, they should not be afraid of criticism." In addition to privatizations, the government is planning to raise money this fiscal year through the long-delayed sale of 3G and 4G mobile spectrum. Pakistan is the only major country in the region that still doesn't have 3G service—overtaken even by war-torn Afghanistan to the north. Some of the world’s biggest consultants, PR firms and accountants, as well as a handful of boutique banks, are competing for a tough assignment that’s only gotten harder in recent weeks: Running the sale of a minority stake in Pakistan’s money-hemorrhaging state airline, Pakistan International Airlines. PIA, as the airline is known, dates back to the creation of Pakistan itself, when it was formed at the urging of country founder Mohammad Ali Jinnah. For most of the last decade, though, it has been losing money, thanks to combination of mismanagement, political turmoil, and general economic woes. Pakistan agreed to sell off 26% of the airline last year, as one of many conditions attached to loan of nearly $7 billion from International Monetary Fund. Now five consortia are vying to run the PIA sale. The list of players includes more than two dozen different advisers, including Ernst & Young, McKinsey, Deloitte & Touche, Apco, Freshfields, Jefferies, and Rothschild (a full breakdown of the five groups was reported by Pakistan’s Express Tribune earlier this week). PIA downsized its business again significantly in early June, cutting 26 foreign and domestic flights a day because it did not have enough planes to service them. As if the business challenges weren’t difficult enough, there has been a recent surge in violence at Pakistan’s airports. Pakistan’s Taliban staged two attacks in early June on Karachi airport, killing several people. On June 24, a PIA aircraft was hit by gunfire as it was landing in Peshawar, killing one. Because of the attacks, several airlines that had pledged to lend PIA planes—which could have helped it restore the routes it trimmed—have rescinded the offer, Dawn reported today. Still, managing PIA the stake sale may be attractive to the banks and accounting firms because Pakistan is planning to privatize billions of dollars worth of state-owned assets, including oil and gas companies, power companies and banks in the coming months. The country hopes to raise as much as $4 billion from privatizing state assets in the fiscal year that started July 1, despite recent aggressive attacks by the Taliban. The consortium that can sell off a stake in money-losing PIA in this challenging environment stands to win a lot more of that business. KARACHI, Pakistan — It was a scene out of a cinema farce. Pakistan International Airlines Flight PK-370 was scheduled to take off from Karachi to Islamabad early one evening in September, but it had been delayed for two hours — a mechanical problem, the crew claimed. Then a crew member confessed: The plane was waiting for a V.I.P. passenger. When a senator from the opposition Pakistan People’s Party, former Interior Minister Rehman Malik, finally showed up to board the flight, passengers mutinied and booed him away from the plane’s door. As if to keep things even, Ramesh Kumar Vankwani, a National Assembly member from Prime Minister Nawaz Sharif’s governing party, showed up even later, reached his seat, and was then chased off the plane by the passengers. A video of the episode went viral on social media the next day, and many Pakistanis applauded the vigilante justice against V.I.P.s who use their status to lord it over ordinary citizens. At the same time, the episode pointed to the malaise that has overtaken P.I.A., once a national asset whose crack pilots and sound management helped establish dozens of international routes. The state-owned airline is now all but lost in a morass of financial liability, political favoritism and technical disrepute. The pressing question: whether P.I.A. has passed the point of no return and can no longer be saved. It wasn’t always this way. P.I.A. began flying internationally in 1955 as the country’s government-run carrier and received early technical assistance from Pan American World Airways. It quickly became a regional leader — the first Asia-based airline to operate jets, in 1960 — and it helped Singapore Airlines, Emirates and Royal Jordanian Airlines, among others, to establish their own fleets. In the 1960s, Pierre Cardin designed its flight attendants’ uniforms, while travel posters showcased exciting destinations and the romance of international travel. P.I.A. showed profits back then, and being nationally subsidized, it could promise job security for all employees. But the future was slowly being compromised. Ticket prices were artificially low, the airline paid high taxes on jet fuel, and its flights were not allowed to sell alcohol. Then, in the 1990s, the first Gulf War drove fuel prices and insurance rates sky-high. Subsequent tensions with India and the war against the Taliban led to repeated closures of Pakistani airspace and airports. But not all of the airline’s problems can be laid at war’s doorstep. One of the largest is overemployment: With only 36 planes and about 17,000 employees (who fly free with their families), the airline has a ratio of employees to aircraft that is reportedly among the highest in the world. This is not a managerial strategy: It is a result of the government’s using P.I.A. as an employment reservoir. Plum jobs go to well-connected people, reflecting a larger governmental ethos of nepotism, favoritism and corruption. Meanwhile, poor maintenance has rendered some P.I.A. planes inoperable, limiting the number of routes P.I.A. can fly. In September, according to the newspaper Dawn, 10 of the airline’s 36 aircraft were grounded for lack of spare parts. Departures have been scaled back or eliminated on unprofitable routes. These factors allowed officials to report that P.I.A. 's annual loss — about $310 million last year — is estimated to be about $175 million this year. But those numbers indicate that the airline remains a huge drain on the national exchequer. The Citi Bank has managed to arrange $120 million financing from the US EXIM Bank and Islamic Development Bank for overhauling the engines of PIA aircraft by the General Electric Company.This has been disclosed in a meeting of the Citi Bank delegation headed by Country Officer Nadeem Lodhi with Finance Minister Ishaq Dar here on Wednesday. During the meeting, the Citi Bank team informed the minister that it was after seven years that the US EXIM Bank had undertaken financing activity in Pakistan, which reflected a growing confidence of international institutions or foreign stakeholders in Pakistan’s improved economic stature.The amount, the minister was further told, would be utilised for the overhauling engines of PIA aircraft by the General Electric Company. APP adds: The Pakistan Railways (PR) Saturday signed an agreement was with General Electric (GE) USA to procure 55 locomotives. PR Director Procurement Ziauddin Ahmed Qureshi and Mr Ishfaq representative of General Electric of the United States signed the agreement here at Railways Headquarters. Addressing a press conference Minister for Railways, Khawaja Saad Rafique who oversaw the signing of the agreement said today was a historic day for the Paksitan Railways as it was going to procure locomotives of 4,000 to 4,500 horse power from a company whose export profile was good. In future also all procurements would be made from companies having good export profile and no compromise in this regard would be made he added. He said that the PR was fulfilling its promise of procuring modern items as the GE was one of the best companies in the world. Saad Rafique said out of 55 completely built up (CBUs) locomotives 23 to 24 would be used for the Sahiwal Coal Power project 10 for Bahawalpur project and the remaining would also be used for coal operation. He said that the first shipment of the locomotives would arrive in 16 months. These locomotives he said remained operational more than their age and would return their price in three years. Pakistan Railways was also focusing on manufacturing locomotives in Pakistan and for the purpose it would reach an agreement with a company giveing best offer for transfer of technology (TOT) in Rasalpur factory. The minister said soon Eid operation would be announced. The Green Line train he said was running successfully with 100 per cent occupancy. He said the PR wanted to add value to two to three trains in current fiscal year. The minister said service structure would be made for employees in Grade 1 to 16 adding that companies would be invited through open advertisement for this purpose. To a question he said that the PR had set its priorities and work would be carried out in all areas in steps. PR Chief Executive Officer Javed Anwar and other officials were also present. The airline is now in debt and in crisis. It faces competition from private airlines. Staff unions are fighting government plans to sell off at least part of it. On Feb. 2, two PIA employees were shot dead in Karachi during a demonstration against privatization. It's not clear who did it. The police used unusual force that day, including water cannons and teargas. In a tent not far from the airport, a group of men mourns one of the two victims, a 57-year-old flight engineer named Saleem Akbar. "When I received a call, I was really shocked and I don't understand what should I do," says his son, Fahad. "I never expected such things from the authorities. It was just a peaceful demonstration." PIA workers nationwide responded to the killings by walking out en masse. For almost a week, PIA's fleet was grounded. The strike was yet another reminder to Pakistanis of how far their airline's star has fallen. They used to boast about how PIA was the first Asian airline to operate jets and how it provided the planes that helped launch Emirates airline. Ask Pakistanis what's gone wrong and they often reel off a list. In part, says Khurram Husain of Pakistan's Dawn newspaper, it's "the inability of the government to manage what are essentially commercial enterprises. In part, political interference. In part, resistance to change from within due to excessive union activities and excessive bureaucratization." Husain has been tracking the airline for years. He says at the heart of PIA's problems, there's a number. "That number is the accumulated losses that the airline has managed to rack up by now," he says. "That number now stands at just under $3 billion, about half the national defense budget." That huge $3 billion debt is paralyzing the airline, says Husain. "Just about the only thing that senior PIA management has been busy with is arranging for funds with which to make the next debt-service obligation," he says. Pressure to overhaul PIA is coming from the International Monetary Fund, which has provided a big loan to Pakistan. The country's economy is blighted by many problems, from chronic power shortages to massive tax avoidance. The IMF thinks it's time to tackle loss-making state-run enterprises, like PIA. Political commentator Hosain believes it's inevitable that the government will have to sell a big chunk of the airline. "PIA is hemorrhaging dollars," she says. "There's no way around it." Many PIA staff hope that's wrong. "The basic thing is the security of job. There is no security of job in privatization," says PIA accounts official Adnan Malik. The Pakistani public may have fallen out of love with their airline. But Malik hasn't. "When you serve in airline, you feel love with them," he says. "You feel love for PIA. Yes. I love my country, I love PIA!" Pakistan International Airlines (PIA) is evaluating an order for wide-body Airbus (AIR.PA) and Boeing (BA.N) jets as it looks to upgrade its ageing fleet, an executive for the state-owned airline said on Tuesday. "Boeing 777X would be a good option," the airline's executive director of human resources and works, Raheel Ahmed, told reporters on the sidelines of a conference in Dubai, adding that PIA is also looking at the Airbus A330 and A350 models. PIA would consider purchasing the aircraft directly from the manufacturer and financing the order through a sale and leaseback arrangement, when an airline sells a jet to a lessor who then leases it back. It would also consider a direct leasing agreement, known as a dry lease. Ahmed did not say when PIA would order the jets or how many it could buy. It has a fleet of 38 narrow-body and wide-body Airbus and Boeing jets, with three A310s to be retired on Dec. 31, he added. However, PIA later said Ahmed's figures were incorrect, and no decision had as yet been taken on how many jobs would be cut or over what timeframe. A meeting between Pakistan's Privatization Commission and PIA top management was also held on Tuesday, "to determine the best suitable restructuring model to make PIA into a viable entity," a senior government official who attended the meeting told Reuters. The official said restructuring would be done in two phases, carving out non-essential units within three to six months "to attain a clean balance sheet," followed by the gradual carving out of other business units. The airline would spin-off four "special business units" from January 2017, starting with its catering business and later its flight training, engineering and courier businesses. The units are planned to operate independently of PIA with their own general managers and marketing teams. PIA would later look to sell a stake in the units if they are profitable.